The first step to building an ecommerce website is choosing the appropriate CMS platform. 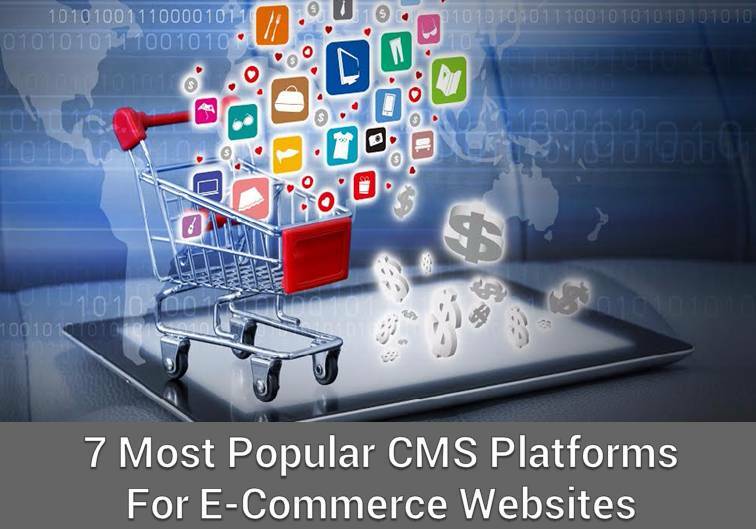 A CMS platform is the foundation of an ecommerce website and defines its capabilities, strengths and weaknesses. Therefore, make sure that the platform you choose is functional, agile, robust and powerful enough to meet all your needs. Here are some of the most popular CMS platforms among ecommerce websites in the United Arab Emirates. Magento is an immensely popular, award-winning CMS platform that’s used across the world. A significant section of the top 1,000 ecommerce portals in the world are developed using Magento. It is a very powerful, robust, scalable and customizable platform, that’s capable enough to meet the diverse business needs of the modern online marketplaces. Thanks to a large and highly active community of users, Magento is able to offer an impressive array of additional resources like extensions, tutorials, troubleshooting assistance etc. PrestaShop is used in over 200 countries, by over 250,000 store owners. The platform is packed with over 300 powerful and dynamic features to customize your online marketplace as per your requirements. Its lightweight framework can be scaled to conform to the needs of start-ups and even large-scale businesses. PrestaShop is also equipped with tons of tools to enhance the payment, checkout, analytics and SEO experiences on your website. OpenCart is an extremely easy-to-use, open source CMS platform for ecommerce websites.With widespread community support and an uncomplicated backend configuration, OpenCart offers complete control to businesses operating on the platform. Flexibility and customization on the platform are further enhanced by features like multi lingual support, a vast collection of plug-ins and support for an unlimited number of categories and products. Unlike others in this list, WooCommerce is not a web development platform by itself. Rather, it’s a WordPress plugin. WordPress is a powerful and dynamic content management system that’s widely used by businesses and individuals across the globe. WooCommerce takes advantage of WordPress’s large array of features to easily and quickly build a fully-functional online store.While WooCommerce can be a godsend for small businesses, it might not be effective or powerful enough for medium or large scale businesses with a more substantial catalogue of products. osCommerce is an immensely popular and free CMS platform used by a large percentage of the major ecommerce websites across the globe. Active for over 16 years, osCommerce was one of the first major open-source CMS platforms in the world. It supports ecommerce websites with powerful features like multi-lingual support, integrated payment gateways and unlimited product support. osCommerce also offers formidable customization capabilities, thanks its vast collection of over 7,000 free add-ons. Shopify is a popular online commerce platform that can be used to create beautiful, professional and highly customized ecommerce websites. Its advanced editing capabilities allow even merchants with limited knowledge of HTML and CMS to easily manage and customize their website. The experience is enhanced with features like inventory tracking, multi-currency, website blog, e-commerce analytics and SEO support. Shopify is also one of the few platforms that offer 24/7 customer support. Drupal Commerce is an ecommerce plugin built on top of the Drupal content management system. Thanks to its seamless integration with the platform, the plugin is able to successfully exploit Drupal’s powerful CMS capabilities and offer features like checkout support, invoice and receipt tracking, shipping and payment support, SEO support and much more. Drupal Commerce also offers more than 300 powerful “modules” to visually and functionally enhance and customize the user experience on ecommerce websites. While any of the above can help you set up a quick portal to start selling your products online, if you have specific requirements from your marketplace or if you’re looking to expand or diversify your ecommerce business, make sure your chosen CMS platform can offer you the required capabilities and has the features to support your unique needs. If you are an individual or a company, looking to build an ecommerce website for your business, partnering with a reputable web design agency that can guide you through the process, can be extremely helpful.